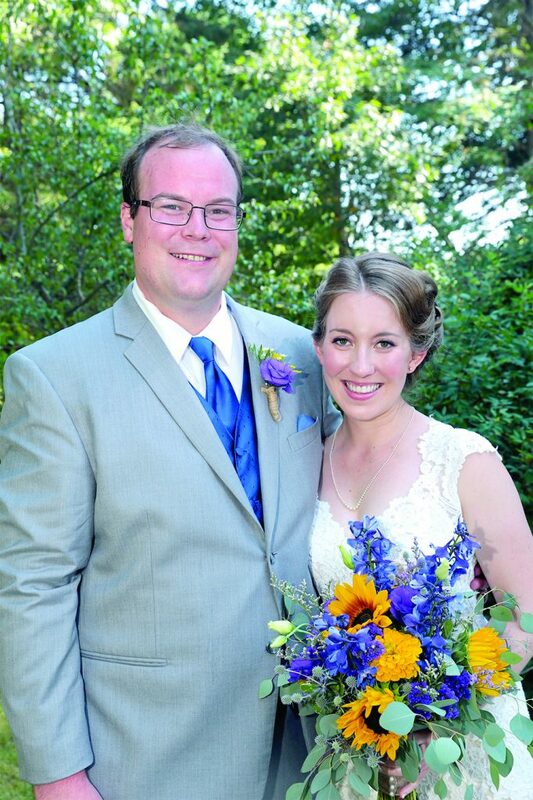 Sarah Elizabeth Spencer and Daniel Thomas Austin were united in marriage on August 6, 2016 at Sarah’s Grandparents home on Sawyers Island in Boothbay. Sarah is the daughter of David M. Spencer of Dresden and the late Lisa Tavenner Spencer. Daniel is the son of Faith Huntington of Farmingdale and the late Thomas Austin. Kaisha Muchemore was the Maid of Honor with Emily Boccia and Kimberly Austin as Bridesmaids. Flower Girl was Isabelle Austin. William and James Austin were the Best Men. Ushers were: Ethan Austin, William Spencer and John Tavenner. Mrs. Austin is a 2009 graduate of Hall-Dale High School and a 2013 graduate of the University of Maine at Farmington. She is the owner of Spencer Austin Consulting in Cambridge, Massachusetts where she works as a Website Designer and Social Media Manager. Mr. Austin is a 2009 graduate of Hall-Dale High School and a 2013 graduate of the University of Maine at Farmington. He is currently enrolled at Harvard Law School and will graduate in May 2018. The couple took their honeymoon the week after the wedding in Angilla, British West Indies thanks to a wonderful family friend who offered her home for them to use. The couple resides in Cambridge, Massachusetts with their cat Piper and dog Katie.